A storm system swirling in the Gulf of Mexico off the Texas Coast shows a growing chance of becoming a dangerous tropical storm. 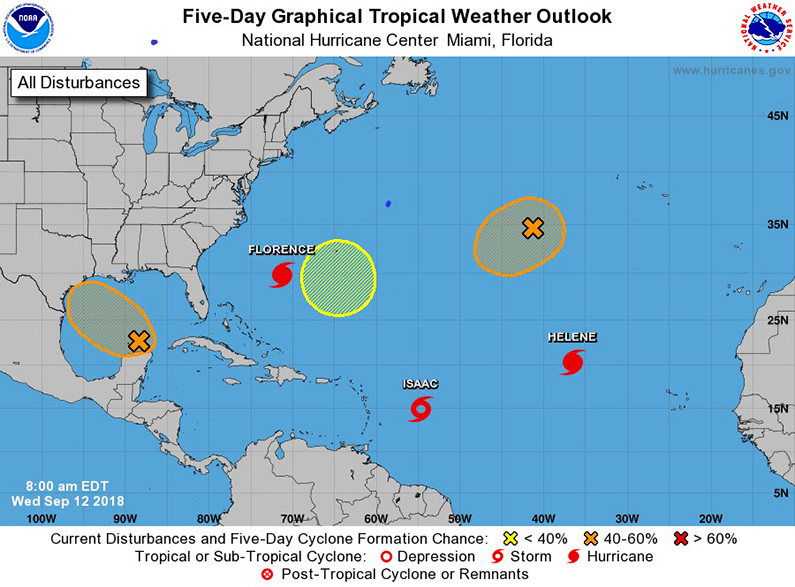 While the rest of the nation is focused on the impending landfall of Hurricane Florence, Texans have their own developing storm system to watch. Texas has been pounded by heavy rains all month, and another strong storm could be disastrous. According to the U.S. National Hurricane Center, the unnamed tropical storm just off Mexico’s Yucatan peninsula is slated to head northwest, with a 40–60 percent chance of turning into a tropical storm or depression. The storm system is currently forecast to hit squarely in the center of Texas’s Gulf Coast. KHOU Chief Meteorologist David Paul said the system could become a tropical depression or even a tropical storm by Sept. 14, bringing the threat of flooding to already saturated grounds. The storm system is not likely to develop into a threat for the next two days, but once the storm drifts away from land and into the Gulf it could rapidly gain power. Governor Greg Abbott ordered the Texas State Operations Center (SOC) to increase its preparedness from level IV (normal conditions) to level III (increased readiness) as of noon on Sept. 11. “We are closely monitoring a tropical system expected to approach the Gulf of Mexico and potentially impact the Texas coast in the coming days,” Governor Abbott said in a statement. Some parts of Galveston County have seen 21 inches of rain already this month. Any more could prove disastrous. Assemble an emergency kit that includes essential documents, supplies and provisions. Review hurricane evacuation maps, and select a route for you and your family. Plan how all family members and pets will evacuate safely. Consider any special needs for individuals with disabilities or the elderly. Stay informed about changing weather conditions in and around your area. Follow the instructions of local officials if a storm develops. Steady rain has already caused flooding in Galveston and Brasilia Counties. Roads throughout the Greater Houston area were blocked by rising water. 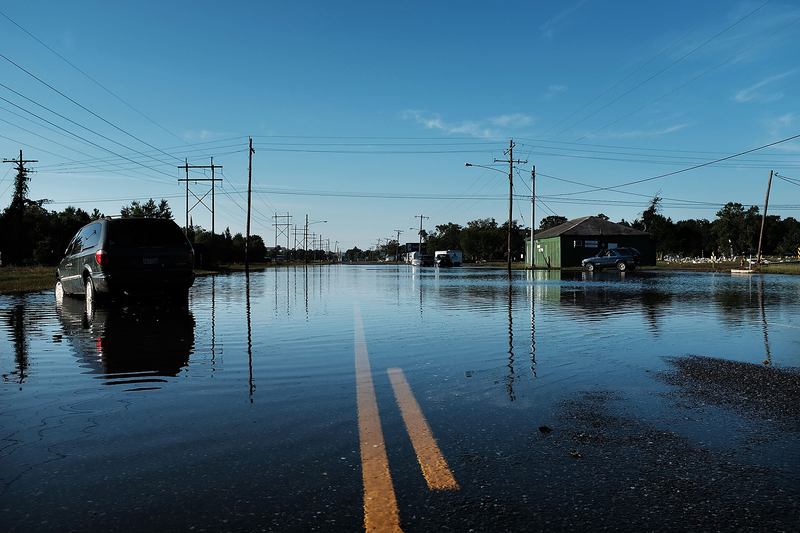 Texas City had to cancel classes at local public schools and the main campus of College of the Mainland also closed as water levels kept rising. “I was told when I bought the house, this wasn’t a flood zone, yeah so I didn’t have insurance the first time,” one Texas City resident told KHOU. Much of this area was hit hard by Hurricane Harvey in 2017. Some whose houses were flooded during Harvey have found water creeping in into their homes once again. The practice has attracted tens of millions across the world and at its core are just three simple principles: truthfulness, compassion, and tolerance.